Dr. Carla Moreira, a native of Cape Verde, spent much of her life growing up in Rhode Island. She is a graduate of the Warren Alpert Medical School of Brown University. 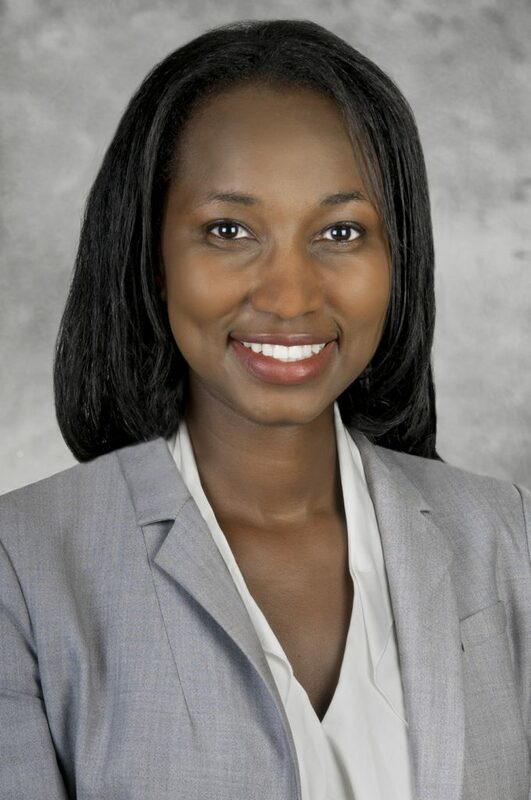 She is currently a vascular surgeon with University Surgical Associates with affiliations at Rhode Island Hospital, The Miriam Hospital and the Providence VA Medical Center. Moreira is affiliated with multiple hospitals in the area, including The Miriam Hospital and Rhode Island Hospital. She also speaks multiple languages, including Spanish, Portuguese and Creole. PBN: Why did you return home to work with vascular patients in Rhode Island? MOREIRA: One of the main reasons I came back to Rhode Island is to serve my community. Immigrating to Rhode Island from Cape Verde as a young girl, I was blessed to be part of strong and diverse communities here. That sense of community and service was further instilled in me during my medical training at Brown University. When I went away to Chicago and Boston for residency and fellowship training, I always knew that I would eventually come back home to Rhode Island. Another reason I was drawn back to the area is the opportunity to teach. All University Surgical Associates surgeons are on the faculty of the Warren Alpert Medical School of Brown University. I enjoy teaching the next generation of surgeons. PBN: Why should women know about paying attention to signs of vascular damage? MOREIRA: Cardiovascular disease continues to be the No. 1 killer of women in the U.S. When compared to men, female patients tend to be diagnosed later when the disease is more advanced. They tend to present with more nontraditional risk factors, derive less benefit from treatment and ultimately have worse outcomes. We are finally recognizing and focusing research on identifying and closing this benefits gap, but until then I try to stress the importance of early screening and referral to a vascular specialist for any female patient with known risk factors for cardiovascular disease such as history of smoking, diabetes mellitus and high cholesterol. PBN: You speak several languages, how does this help you in caring for your patients? MOREIRA: I speak Portuguese, Cape Verdean Creole and Spanish. This has been a tremendous benefit to me in being able to provide the best care to my patients. When I see patients in my office or in the hospital, and they are sick or needing to undergo major surgery, being able to communicate with them in their native language immediately breaks down so many barriers. It puts everyone at ease and allows me to begin to build the trust needed for a successful relationship with my patient and their family. It also adds to the sense of community that I think is unique to practicing in Rhode Island. PBN: You have a vascular lab within your offices, how does this help in treating your patients? MOREIRA: One of my favorite parts of practicing at University Surgical Associates is having a full accredited vascular lab in the office. This is a tremendous asset to me as the physician but especially to the patient. A patient can come in for their initial consultation, get the necessary vascular lab studies, discuss the results and get a treatment plan in a single visit. Having the vascular lab in the office also allows us to offer our patient a variety of office-based procedures without the hassle of going to a large hospital setting. PBN: What advances have been made in treating your patients for vascular disease that you are able to utilize? MOREIRA: Vascular surgery as a surgical subspecialty is a perfect combination of traditional open surgical techniques and technologically advanced minimal invasive endovascular procedures. This has placed vascular surgery at the forefront of medicine. Certainly, advances in endovascular techniques have revolutionized the way we treat aneurysmal disease, peripheral arterial disease and carotid disease, to name a few. Over the past two to three decades there has been an explosion in research and new techniques championed by vascular surgeons. This has increased public awareness of vascular disease, improved medical management and risk factor modifications while creating lifesaving early screening protocols. I’m most excited by the fact that I can provide a patient with all the available options to treat their vascular disease (medical management, open surgery and minimally invasive endovascular procedure), and together we make the decision on what the best option is.